My hopes for U.S. 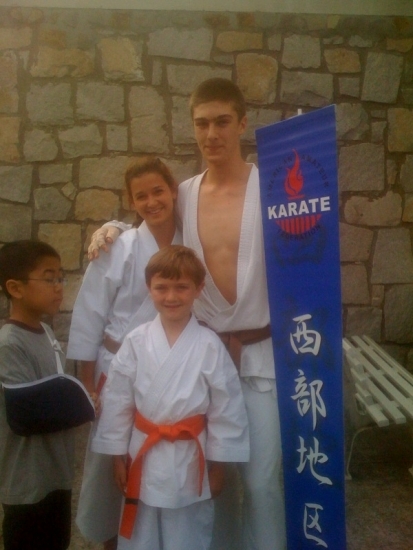 Traditional Karate Jr. Nationals. Weather it be directed by the AAKF or other organization/s which may materialize in the future. Keep in mind that many other organizations have had an equivalent for many years. AAKF is a very small organization. If it does not begin a major growth plan it will evaporate simply through attrition, voluntarily dropping out of unhappy members, or by members being nudged out. Now the youth side. The AAKF is minuscule when it is compared to Little League, AYSO (youth soccer), gymnastics, the basketball leagues and even most regional sports (hockey, lacrosse, volleyball even kids rodeo. MMA is now the fastest growing sport in the world. Traditional Karate is a Martial Art. The rising tide of MMA has created a huge pool of potential new students. Believe it or not we are in a boom time. Don't fall asleep now. I feel that the number one concern is that of growth. That can only be done by creating a system of creating qualified instructors and developing a strong youth program. We must plant seeds now for the future. We are heading into winter with no fuel or food stocked up. 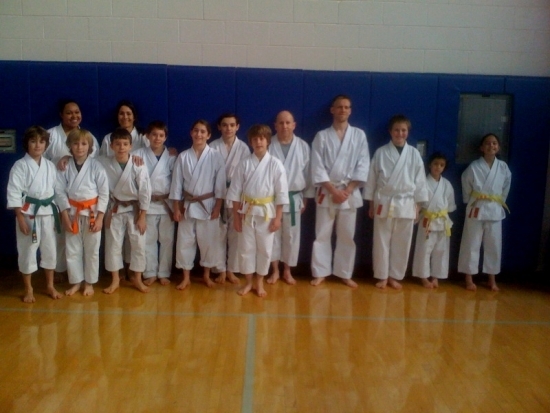 The size of all major sports (I'm not saying Traditional Karate is a sport) is in proportion to it's youth counterpart. We must follow this example. We need to establish an instructors training program. We need a strong youth program. My hopes. I see the Jr. Nationals as a stepping stone for future competition at the adult national & international level. It must be organized and run at the highest degree of care, specially in the beginning. Structural integrity is at the mercy of it's foundation. Martial Arts sayings: "Start with the end in mind" "Don't be involved in useless activity". 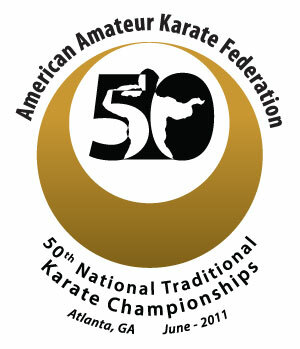 Now what is the plan, goals, hopes, dreams etc... of the AAKF U.S. Jr Nationals? At the low side of the spectrum, is the tournament to be just another "local kiddie tournament" run by the hosting region, primarily geared to that regions members? Just as a way to generate income? Where major national and participation is a goal, developing competitors for youth international competition and to bridge to adulthood competition. I've been billing this to my students as being at the highest level. Maybe this is my mistake. This past competition we were given 2-1/2 months to prepare. I also found it very difficult to get answers to questions that I had. We were given a format that expressed that the rules & procedures where to be strictly followed. Much like Kitei where you are severely penalized for the slightest error. I was not happy with the short notice. I also felt that other regions were already familiar with this format. If the tournament was to be primarily a regional youth tournament with a "Jr. Nationals" title, then fine, but if it is to be "truly" a national event then there must be an even playing field. We accepted the conditions and accepted the challenge. Also assuming that the format was "the official" format and from this point on we would be on a level playing field. We made up 66% (2 of 3) of our regions participants. Even though we had only 2 participants, we practiced as if EVERY student was going. We changed our normal busy schedule & time line to accommodate this event. We wanted to be well prepared. We wanted to perform at the level we felt was expected of us. The families of our participants went to great expense. Individual adult athletes have expenditures and loss of work income of one. Youths have have expenditures of at least 2 (1 child & 1 parent) up to the whole family. This also the time of finals and graduation. Please keep this and much more in mind. Every step and all aspects must be considered. For the record, I personally liked the format. Anyone who knows anything about the structure of sensei's exam requirements, can see it follows the natural progression of development and structure of the Kyu and Dan exams. Based on that, Kumite is not required til the Ni dan level. I'm not say we don't do kumite til then. All my students practice kumite but it is closely supervised! We haven't had one person hurt in almost 20 years. Many months ago I had asked if the regions were bound by "this format" or the host region could have their own format. Since I am involving my student, I must take the highest degree of care to be informed and prepared. I am responsible. So I adjusted our schedule to prepare students last minute (all our students practiced the format) then have them travel to Atlanta. I spent 2 1/2 months in preparation. For the ones that didn't go I said "ok then you'll be better prepared for next year". (had we had more time our club alone might of been able to ship 10 or so Jr. Athletes) Now! will I have to decipher a whole new set of rules for 2012, 2013 and so on? Will this be an advantage for the host region? What about judging? I was not happy with how judging was handled for the youth side. Judges were briefed on the spot. Jr Athletes, parents and coaches had to sign a release that we were familiar with the rules and procedures, then to see judges prepped on the spot, some with zero experience, I found this inexcusable on many levels. Judges who had no idea of Kogo kumite were put in that position. This would not be allowed at the adult competition. For the record - I have often told my students "you are going for 1st place at World Championships, you are on camera on the jumbo screen". "Everything you say and do is being recorded and displayed on the jumbo screen". I have 2 videos of the completion. Almost every parent took video. There is so much footage in existence. All actions are on tape. Despite "current" economic conditions, the future is very, very bright! Be prepared or you will miss it. Be prepared you can help shape it! Be prepared it will be like no other. This photo represents the hard work of all, collectively. These children are "GOLD" they have been derived from the accumulated hard work and sacrifices since the beginning of time. We must give them the "BEST"! Their job will be even more important than ours. The youth side must be treated as seriously (with even greater care) as the adult tournament. The future is at stake. ITKF now has a youth format (I don't know if this was the format used for the youth European Championships) in preperation for a Youth World Championships. That being the case shouldn't ours (AAKF's) be in line with ITKF's? We have the same format at the adult regional, national & international level. If this is to be truly a Jr. National shouldn't our official youth competitions also all be in sync? We may or may not agree with the format but we should all be on the same page on the athlete and judging side. Sensei once said that competition is not our main purpose of training. He said that competition is just 10%. We are training for real life. I follow this. Competition is not our clubs main goal by any means. But we participate in them and also hosted many of them. When we are involved in them we are very serious about them. We make sure we know the rules & procedures and hold ourselves to them (even though others don't for a variety of reasons). Our goal mirrors what was written as the goals set in the past competitions set of goals. See I liked the format it was well though out and had structure. There were many great aspects but there were many points of improvement I'd like to see. Some things I did not like were that divisions were combined. This was allowed as per the rules. But designated coaches nor athletes or parents were informed of the changes. This caused a big problem not seen by most. Also divisions were created on the spot which seemed unfair. Registration was well in advance so what transpired should not have taken place. I'm hoping that requirements to participation was policed and that last minute concessions were not allowed. Now having to follow a totally new format for 2012 brings us back to square one. This can be good or bad but let's get it close to right, and move forward. I would love to promote this to our students. But I want to be prepared. So I have know things now! 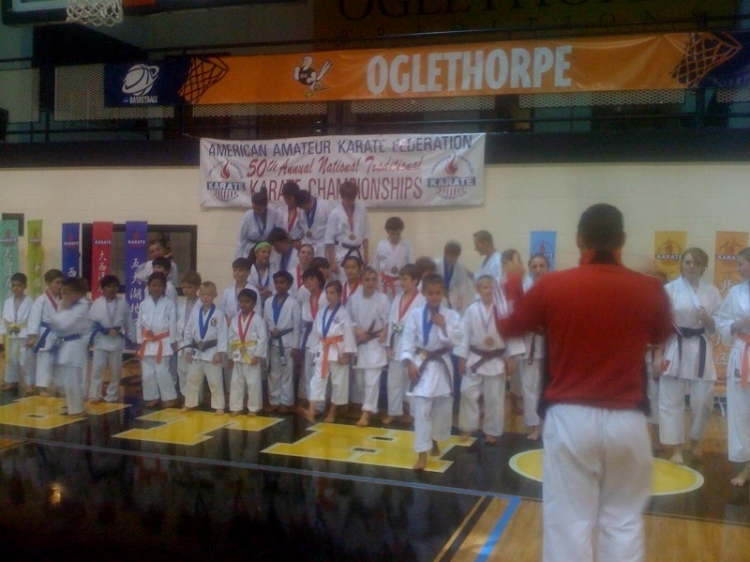 2011 Jr Nationals - Was open to all AAKF members that were minors 6 years and up, 8th Kyu and up, that registered by a certain date. Other than that there was no other Regional or National restriction. I need to know what participant requirements, restrictions etc . . . and that they will not change. I need to know if meeting those requirements is possible for us. Every step and all aspects must be thought out. Feed back and input must be allowed. Everyone participated in kata & kumite in a round robin fashion. If we have free sparing, will they be required to do kata & kumite? Will we have 6 year old yellow belts doing free sparring? Based on the past format the finishing time could be estimated to allow the timing of Jr. Nationals & Adult Nationals. If we do Kumite across the board then this will prolong the duration of the tournament. I'm not saying this is good or bad. I'm just saying that based on the number of participants this could double, triple the time required. Will we be doing Round Robin? Kyu levels could only do a "specified kata". How will this be broken down this time? I'd like to know what it is we need to practice now. Not an unreasonable request. What about team Kata & Embu? I need to know exactly how the tournament will be formatted ASAP otherwise I will wait till 2013 or beyond and stick to our "Plan A". If people are expecting me, demanding of me that I have students participate, then I need to know what I need to get prepared for. How it will be run, rules & procedures in a timely manner. Then I can decide if it is appropriate for our children. The welfare and well being of my students is number one, as laid out by the requirement of being a instructor, as laid out by Nishiyama sensei. This past Jr. Nationals was the first and it went well but we must anticipate. Many times In competition among rival teams, the spectators behavior can become quite ugly. We must educate our students, coaches, athletes, friends and family that our events are not supposed to be anything like the aforementioned example. Rather the spectators, athletes, coaches, friends & family should be familar with our art. That it should be viewed more like a classical music performance. Some of our competitions are going off track in this department. We must set the tone now. I often hear from parents how other parents almost get into fisticuffs at children's soccer, children's basketball etc. We need to educate and make sure we don't go off track. This is "Martial Art Performance Art" not "gladiator, to the death, loser side becomes enslaved" blood fest. In fact you can see that sensei was going towards the elimination of nationalism. Using the arena of competition to show the "best example" of our art. Not to pit one club against another, one region against another, one country against another. We have been global way before most everyone else. We have all made strong bonds worldwide. We must unite, we must share, we must educate, we must grow to improve what we have. The better we all become the better we all can become. I have so many more points that need to be addressed and worked out but I'll stop here. I'm not expecting anybody to have read to this point. I have experience, questions and answers that need to be expressed. I'm not allowed to express them at our meetings so I put them here. I am seen as trouble maker by some maybe even by most. Our Karate is based on observation and to make improvements based on those observations. None of this is personal. I point out the good and bad. I ask others for their opinion, we formulate ideas & suggestions. We must continue to improve our plan. They are shooting the messenger for telling them there is a tsunami coming and going back about their business. I'm happy that at least I did my part. I now prevent myself from being stuck and I continue to move forward. I have work to do I continue to do it. A side note. Does anybody now the selection process for Pan American Championships? I would have loved to have competed. I guess it's by invitation only. Who knows. Side Note 2 - Now that that ITKF has added two competition events events will we be adding these two events to Nationals 2012? Side note 3 - In case you haven't felt it we are past a rescission. We ARE in a degree of economic depression. We must adapt accordingly. I propose we take the sole burden of fundraising off the host region. Collectively we are so small in our situation and environment it is now a huge burden for a few. Through attrition smaller regions will just not be hosts. I propose that we make fund raising a national responsibility. For Jr. Nationals each youth, coach and parent was required to sign a waiver that they new the rules etc. So let's demand 10 minutes and $10 of all AAKF members. According to public disclosure records AAKF has about 1,000 members. That they pass the word and hat to others. All AAKF members are to sign a paper saying . . .
"here is my $10 & I will pass the word and hat. "I don't have $10 but I'll pass the word and hat. "I don't have $10 and I can't pass the word and hat". Everyone can give $10. and give up 10 minutes on their computer, tablet or smart phone. Drink two less beers, or 3 less cups of coffee, or no dessert when you go out to eat etc. Pass the word through your social network. With people passing the word and hat via media such as Facebook. There is no reason why $15,000 and more can't be raised from $10 donations. Of coarse people can give more. The average cost of a Nationals is about $8,000. Take the burden off the host. The total sum can easily be raised with many small donations. What really works for me is a little help from many is much easier than all from a very few. Keep in mind that there are a few out there that can help a lot. By reaching out we can find them and add that to the pot. Regions will then step up to host. This is better for our future growth. We can then easily be able to slowly help to subsidize athletes and judges. The quality of competition is the top priority. But there is nothing wrong with nice window dressing and perks. We can have and add to a "Tournament Kit' with reusable decorations, equipment, generic soveniors etc . . . that can be of quality and reusable to be shipped in a pod, from host region to host region. PayPal account with a $10 option and unlimited option. Get the word out via email and the social network, this can be completed over the weekend. You can have the total budget by Monday. Do that you'll have my $10 (even though money is tight) and I'll pass the hat & word. In fact if I could get 200 people to donate $20 I will open up another dojo just like that. I welcome your ideas, suggestions, complaints, salutations, photos & invitations. 100% of my time and energy is devoted to teaching, developing instructors and the growth of membership. To pass on what was passed on to me. Knowledge not shared is time and knowledge wasted. Time is short as sensei would say we are now headed into 2012. Our minds and bodies (past & present) call all be together, all on one day. Which will carry us through the whole year. 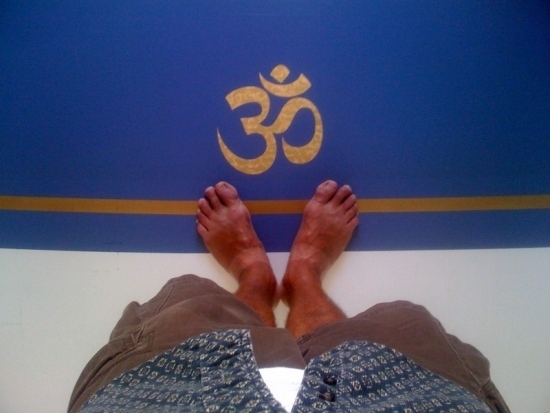 "A New Years Challenge 108 Tekki Sho dans"
Thank you Taichero & John! On New Years Day we will have our Second Annual 108 Tekki Sho dan event. If you are in LA please come join us. All are welcomed. If you can't make it and I know most of you can't then please organize and host your own event but on New Years Day. Regardless of affiliation we can turn this into a massive global event. This can even be a way to recruit new students by asking students to teach their family, friends & neighbors the kata, then bring them in on that day. This promotes students to become teachers. Good for all in many ways. This can be used as a fund raiser or not. You can have it in your back yard, your dojo, a park or parking lot. It's the perfect day, the first day of The New Year. Most people are off and available. There is no traffic. Even if you are by yourself then do it by yourself on New Years Day. It takes about 75 minutes. On this day we can all be united in mind, in spirit and our bodies will all be doing the exact same thing. The following days our bodies will remind us of what we did. Again we will all be united in one mind and in one spirit, together. Much like when we have an event like tournament or seminar. We have that great spirit from seeing eachother. We will have that same great feeling by doing the same thing on the same day. No one will be left out as you can do this wherever you are, but please 108 Tekki Sho dans on New Years Day. Please send me a photo if you do it solo or if you host a event. I will post it on our site. Let's make this a global event. Regardless of your affiliation. All karateka united on one day at one moment. Thank you specially if you read it all the way down here. 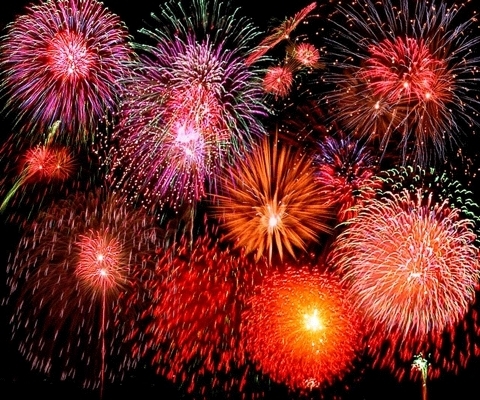 December 11th, 2011 Manhattan Beach will be having it's annual Christmas Fireworks Show. You are all invited to come and see a great show. This is one of the best kept secrets of all time. It's not advertized to keep it's greatness. Come see the make up of this fantastic little village. Perhaps after the Seminar & Dan Exam come on down. I hear Taichiro likes beer so I'll have a tall cold one waiting here for him.